The installation process for the Oracle server software is essentially the same in the Oracle Database 11g and 10g versions.Invoking the Oracle Universal Installer(invoked by run Installer on Unix/Linux and setup on Wind ows) remains the same, and the Oracle Universal Installer performs the same operating system checks as in the older versions.There are, however, a few important changes when installing Oracle Database 11g, which we summarize in the following sections. 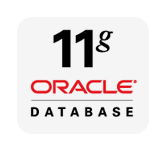 The Oracle 11g installation process contains changes in the way you specify the Oracle base,the Oracle home,and the flash recovery area.In addition, there is a new infrastructure called the automatic diagnostic repository,which serves as a consolidated location for all data base diagnostic information. The Oracle base directory is the top-level directory for installing Oracle software,and the OFArecommended path for this directory is /mount_point /app/ <oracle software owner>For example,a typical Oracle base directory path is /u01/app/oracle, where oracle is the Oracle software owner.The Oracle base is recom mended as an environment variable,asin the earlier Oracle versions, but in future versions Oracle is likely to make this a mandatory variable.The Oracle Universal Installer now provides a list box for you to edit or select the Oracle base.The Oracle Universal Installer auto matically derives the default Oracle home location from the Oracle base location you provide.The Oracle home directory is a subdirectory of the Oracle base directory,and that’s where you install all your Oracle software.You can edit the location offered by the Oracle Universal Installer if you want to specify a different directory as the Oracle home location. Oracle recommends you specify the same Oracle base for multiple Oracle homes created by a user. The automatic diagnostic repository (ADR) is a new Oracle Data base 11g feature, meant for the consoli dation of all diagnostic data,including various trace files. The goal of the ADR is to provide by location for all error data you’ll need for diagnosing and resolving problems,thus leading to faster error resolution and troubleshooting.The ADR is simply a directory location that you specify through the new initialization parameter diagnostic_dest. The ADR replaces the traditional use of the diagnostic directories such as bdump,cdump,and udump,where you had to go to manually seek out the necessary trace file and error files during trouble shooting. The ADR uses standard methods to store diagnostic data not only for the Oracle database but also for other Oracle products.The diagnostic data is then read by special automatic diag-nostic tools to provide a quick turnaround time for trouble shooting problems related to various Oracle products. Under the ADR, you have the different directories such as cdump,alert, and so on.The alert log that you’re used to viewing in the vi editor on Unix is now an XML-based file.You can read this file using the new adrci command-line tool.We discuss the ADR in detail in Chapter 2. If you choose to use the ADR, you must give the Oracle Universal Installer a directory location for the ADR base.To consolidate diagnostic data,Oracle recommends you choose the same ADR base for all Oracle products. As this directory structure indicates,you can store the diagnostic data for multiple databases (as well as other Oracle products)under the same ADR base. The Oracle Configuration Manager, which gathers configuration information pertaining to the software stored in the Oracle home directories,is integrated with the Oracle Universal Installer as an optional component. The Oracle Data Mining option is selected by default with the Enterprise Edition installation and is installed automatically when you run the catproc.sql script after creating the database. The Oracle XML DB option has been removed, since it isn’t an optional component any longer. The Database Configuration Assistant installs and configures it.When you manually run the catproc.sql script, the XML DB is created automatically. Oracle Database Vault is an optional component, and to install this option, you must choose the Custom installation option during installation. Oracle Application Express (APEX):Oracle’s browser-based rapid application develo pment tool,formerly known as Oracle HTML DB,is enhanced in Oracle Data base 11g with pre packaged applications for blogs, storefronts,and discussion forums.There are also new reporting capabilities and support for drag-and-drop forms lay out.APEX is now part of the base Oracle CD instead of the companion CD. Oracle SQL Developer: Oracle’s free data base develop ment productivity tool is a graphical version of SQL*Plus and is enhanced with new tuning capabilities in Oracle Database 11g.These enhancements include data base activity reporting and expanded support for version control and visual query building.SQL Developer is auto matically installed when you choose to perform a template-based database installation by choosing an installation option such as General Purpose and Transaction Processing. Oracle Real Application Testing: This compo nent, which is automatically installed with the Enter prise Edition installation, consists of two new features,Data Replay and the SQL Performance Analyzer,both of which we discuss later in this chapter. Oracle Configuration Manager (OCM): This is offered as an optional component during the server installation.The OCM collects infor- mation about software configuration in the Oracle home directories and uploads it to the Oracle configuration repository. Oracle Ware house Builder: This is an enterprise busi- ness intelligence design tool and is installed as part of the Oracle Data base server software. Oracle Data base Vault:This tool,which enables you to secure business data, is installed with the Oracle Data base 11g as an optional component,instead of being a component of the companion CD as in previous rel- eases.the Oracle Data base Vault installation means you now have a baseline security policy for the data ase.ecurity-related initialization parameters are given default values following the installation of the Oracle Database Vault. If you are using automatic storage management (ASM),you can now optionally create an additional OS-level group while installing the software or even after the installation.In addition,there is a new optional system privilege in Oracle Database 11g exclusively for ASM administration.If you’re migrating from a database release older than Oracle Data base 10g(10.2)you must also be aware of the changes made to the connect role. In Oracle Database 11g, there is a clear-cut demarcation bet ween data base administration and ASM administration.Previously, you performed all ASM administration as a user with the sysdba privilege.There is a new system pri vilege called sysasm,which you should grant to the user who needs to per form ASM administrative tasks.Users will need the sysasm privileges to create an ASM instance or cluster using OS authentication.In prior versions of Oracle, you created the dba and oper operating system groups when installing Oracle software.In Oracle Data base 11g,you can optionally create a third operating system group called the osasm group.Oracle recommends you grant ASM access only to members of the osasm group. The connect role was deprecated in the Oracle Data base release.In fact,the role now has only the create session privilege unlike in releases prior to Oracle Data base,when it also had privileges other than create session.If you’re upgrading to Oracle Data base 11g from a release older than Oracle Data base,any users with the connect role will cease to have all privileges other than the create session privilege. The up grade script automatically takes care of adjusting the privileges of all Oracle-supplied users(such as sys,system,outln, and dbsnmp).For all other users with the connect role,you must explicitly grant all the privileges that were part of the old connect role after the up grade is completed.